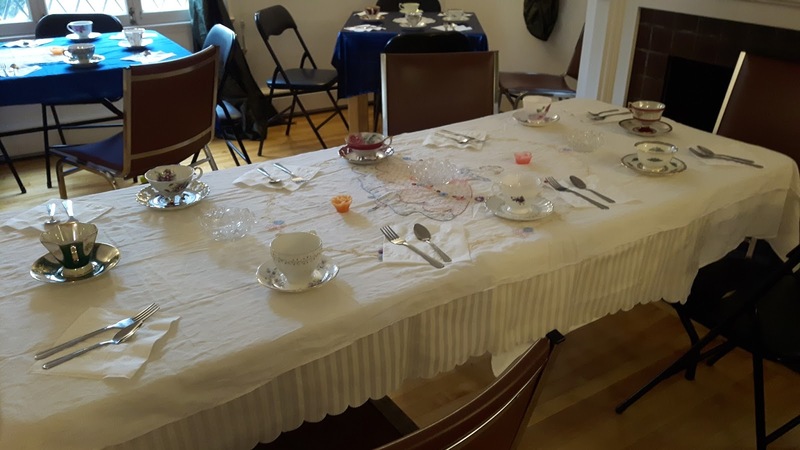 We had the most wonderful time with the Victorian High Tea in honor of our community elders. Everyone enjoyed good tea and food on antique tea sets and plates. We all dressed up in Victorian clothing (with steampunk flair) JUST BECAUSE! So much fun and a great opportunity for the newest generation to meet the eldest generation of Pagans from the community. This went so well that we have been asked to host another. SO... we have decided to make this an annual event. Next Elders Tea will be held October 2017.